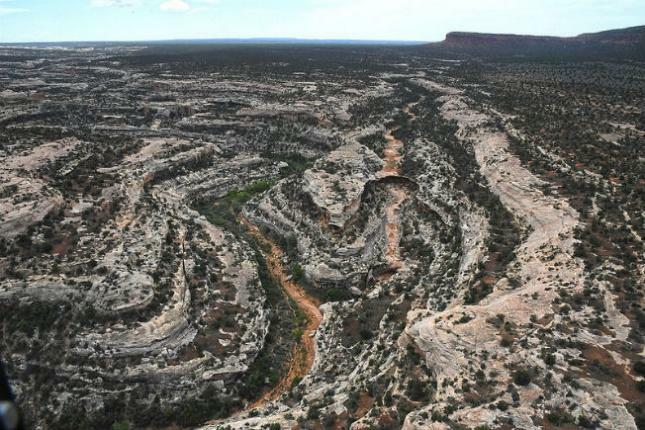 Parts of Bears Ears National Monument like this may be on the chopping block, under recommendations by U.S. Interior Secretary Ryan Zinke. That message is in line with recommendations from Interior Secretary Ryan Zinke. Like Trump, Zinke favors boosting production of oil and gas resources on federal lands to create jobs and enhance the nation’s energy security. It’s another pro-industry headline for a Secretary touting himself as not only an avid outdoorsman, but a follower of the conservation ideals of the 26th President of the United States, Theodore Roosevelt. Inside Energy’s Dan Boyce looks at how their philosophies stack up. San Juan County leaders have been asking for over a decade for more access into Recapture Canyon just east of Blanding. On Monday, federal land managers gave them an answer, when U.S. Interior Secretary Ryan Zinke weighed in.